Graceland Mansion in Memphis, Tennessee was home to rock star Elvis Presley from March 1957 until his death on August 16, 1977. All in all, the house itself is relatively small in size and not in as rural a location as one might expect. This photo tour highlights some of the architecture and design choices made by a wealthy man of humble beginnings. The house was built in 1939 by Dr. Thomas and Ruth Moore who named it "Graceland" in honor of a family member. The elegant, columned mansion faces west, perched on a hilltop in Whitehaven, a suburb eight miles from downtown Memphis, Tennessee. During the Civil War this land was part of a 500-acre farm. The Neoclassical mansion is often described as Colonial Revival or Neoclassical Revival in style. Architectural historian Jody Cook describes the property as "a two-story, five bay residence in the Classical Revival style." Two-story describes the building's height and five bay is the width — five openings for doors and windows across the facade. On the second floor, windows are six-over-six double-hung. The first-floor windows appear to be longer, set beneath wooden and stone arches. Graceland Mansion has a classical entrance portico with pilasters and Corinthian-type columns with capitals that Ms. Cook describes as "Tower of the Winds." The Greek-inspired pediment, complete with decorative dentils, rests on the Greek-inspired entablature. all architectural elements making the house style Classically inspired from Greek and Roman architecture. The siding is Tishomingo, a tan-colored limestone mined in Mississippi. The symmetrical additions on the north and south ends of the house are sided with stucco. During the 1950s, Graceland was used by the Christian Church. In 1957 Elvis Presley purchased it from the YMCA for just under $102,500. He quickly began remodeling and redecorating, adding a racquetball court, a pink Alabama fieldstone wall, and wrought iron gates shaped like giant guitars. The house grew from 10,266 square feet to 17,552 square feet as Elvis Presley added more and more rooms. Graceland is often mocked for its flashy and often tacky interior decor. But a quick turn off the wide center hallway and through the pilaster-sided arches brings the visitor to the formal dining room, complete with staid window treatments and conventional crystal chandelier above the dining table and chairs. Facing Graceland Mansion's front door, the dining room is located on the left, a room 24 x 17 feet on the northwest corner of the first floor. The kitchen is located directly behind it, on the east side of the house. The dining room, well-lit with large windows, has a floor of black marble surrounded by carpeting. The juxtaposition of competing architectural elements — for example, mirrors were installed in 1974 within the classical moldings of the center hallway — seems to be a hallmark of Graceland Mansion as decorated in the Elvis Presley aesthetic. Although Elvis fit custom mirrors in the hallway, classical architectural details prevail in both the dining room and the living room across the hall. The living room is oriented toward the south, on the right side of the house. At one point, furnishings were more formal than seen today. It is said that Elvis Presley once decorated the front room with Louis XIV furniture — think of the Baroque-filled Palace of Versailles in 17th century France transported to 1950s Memphis, Tennessee. Today the room where guests are received exhibits a 15-foot white couch, a white marble fireplace, and glittering mirrors to make the room appear larger than it is. In the music room is another television set, in view beside the grand piano. In 1974 Elvis did some remodeling to the living room and music room. Large, custom-made wall mirrors were added to the fireplace wall and the entire east wall. The entry to the 17 x 14-foot music room is adorned with matching peacocks custom-created by Laukuff Stained Glass of Memphis. Elvis Presley created many lavishly decorated "theme" rooms at Graceland. The game room, also called the pool room for its large pool table, was created in 1974. Like many other families, the pool room was carved out of basement space in the northwest corner of the house. Unlike many other family recreation rooms, the walls and ceiling of Elvis' game room are covered with hundreds of yards of pleated paisley fabric. Like the game room in the northwest corner of the basement, the television room in the southwest corner was Presley's basement hideaway. Besides the media equipment of multiple television sets and stereos on the south wall, the decor includes a lightning bolt adorning the west wall. In the 1970s, Elvis branded himself with this motif, taking on the motto TCB meaning "taking care of business in a flash.” Hence the lightning bolt and the name of his musical backup group, the TCB Band. TV rooms were very high-technology spaces from the 1950s until the rise of wireless media. Before the pool room and the TV room, Elvis Presley added a 14 x 40-foot addition to the back of Graceland Mansion in the 1960s. This den became known as the Jungle Room because of its natural stone walls, indoor waterfall, and Polynesian island decor. In the 1960s, Presley made several movies set in the Hawaiian Islands. No doubt, the income from these films would have more than offset the cost of the Jungle Room addition. Also in the 1960s, in addition to the Jungle Room to the east, Elvis added a new building that has become known as the Trophy Building. Connected to the music room on the south part of the house, the Trophy Building leads outdoors to the kidney-shaped swimming pool and patio that was installed in 1957. Just beyond the swimming pool is the Meditation Garden, constructed from 1964 to 1965 as Presley's private retreat. The statue of Jesus and two kneeling angels was relocated here from the family burial plot at Forest Hill Cemetery in Memphis. The Meditation Garden contains the graves of some family members. 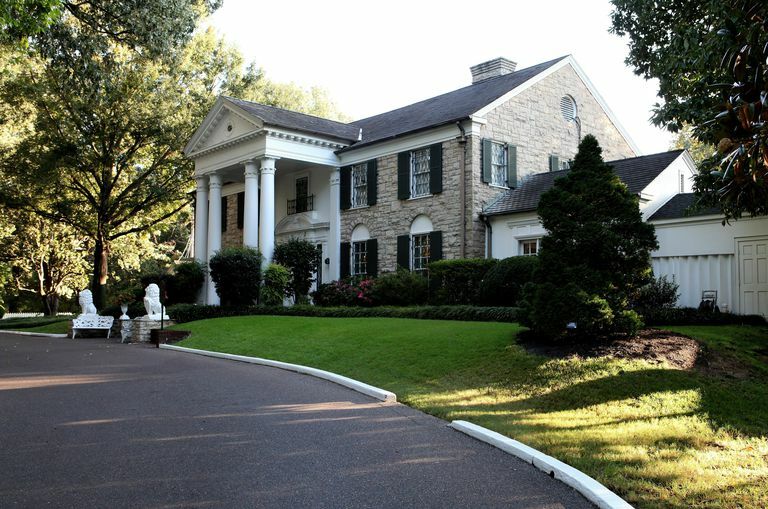 Elvis Presley lived at Graceland Mansion until his death on August 16, 1977. 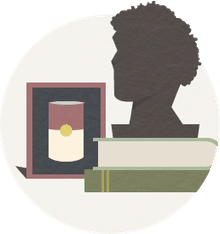 His gravesite, in the Meditation Garden, is a popular stop on the Graceland tour. Originally, Elvis Presley was buried at Forest Hill Cemetery in Memphis, Tennessee. After security issues at the cemetery, the Presley family was moved to Graceland and re-interred in the Meditation Garden in October 1977. Elvis's grave is beneath a bronze plaque near a round pool with spurting fountains illuminated with colored lights. An eternal flame marks the head of Elvis' grave. Other markers include for Elvis Presley's twin brother, Jesse Garon, who was stillborn; Presley’s mother and father, Gladys and Vernon; and his paternal grandmother, Minnie May Presley, who outlived them all until her death in 1980. After Elvis' 1977 death at Graceland, the house opened for tours in 1982 and was listed in the National Register of Historic Places in 1991. Graceland rose in stature to become a National Historic Landmark on March 27, 2006, based largely on the historical significance of Elvis Presley's importance as a popular American musician instead of the architectural significance of Graceland Mansion. Today Graceland Mansion is a museum and memorial. It is reportedly the second-most visited home in the United States, second only to the White House in Washington, D.C.